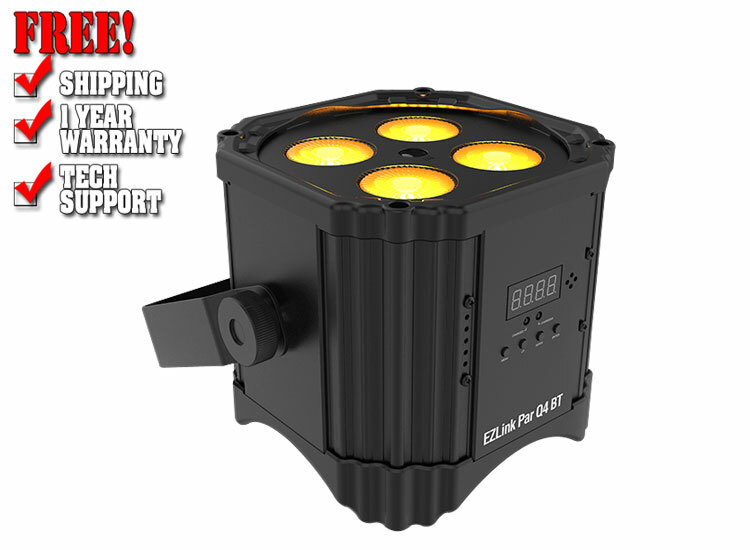 CHAUVET DJ makes creating exhilarating lighting easy with EZLink Par Q4 BT. 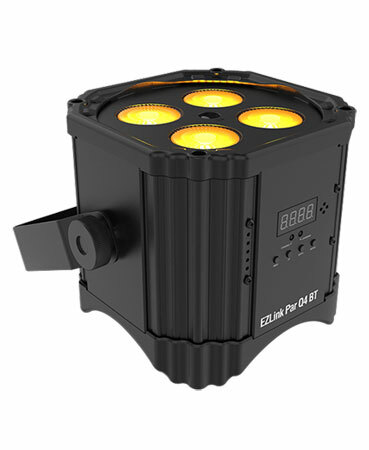 This 100% wireless quad-color (RGBA) LED Par fixture is battery-powered and has Bluetooth® wireless technology built in, allowing you to control EZLink Par Q4 BT with the free BTAir app (patent pending) from any smartphone or tablet. No additional hardware needed! 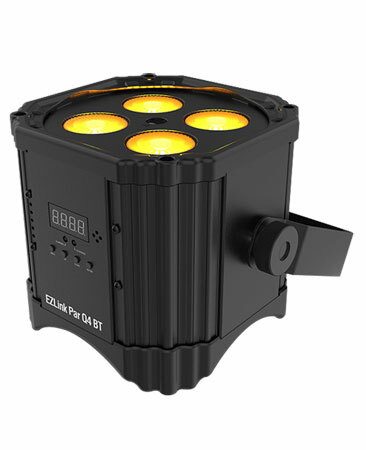 Genuine amber LEDs included with quad-color lights like EZLink Par Q4 BT provide richly vibrant and warm color mixing or natural-looking color temperatures. 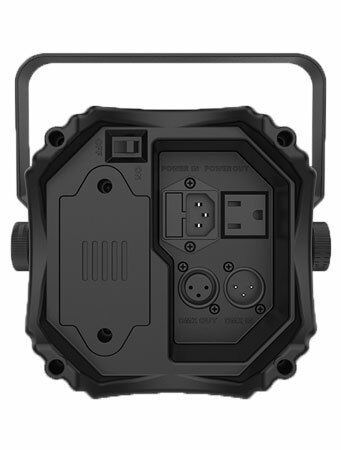 Other convenient control options include the IRC-6 remote and sound-activated or automated programs. 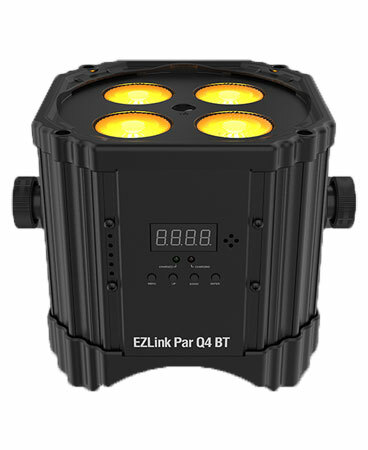 EZLink Par Q4 BT fits best in the CHS-40 VIP Gear Bag.